Like the Storm 2.0 the EVO 2.0 has been the work of 2 years of testing working of getting some of the smaller points right. The EVO has under gone probably the biggest changes and now has moved into a true spot in the ONE board line up that really gives it a point of difference. 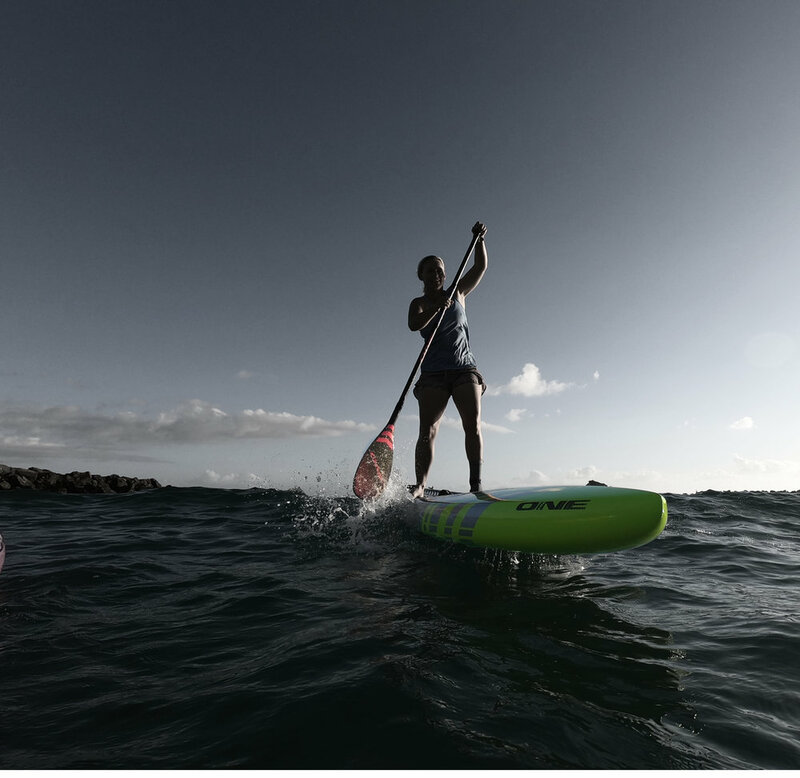 With the EVO 2.0 we have made it into a true flat deck downwind board that still can hold its own in the flat water but just has a super lively feel as soon as the small bumps come into play. Custom widths are also available if needed as well. Custom colours are available on all pre-orders. One of the biggest changes that you will see with the EVO 2.0 is that it is now available in the same Molded constructions as the Edge 2.0 Hybrid, Dynamic & Elite. This a big move but we believe this new EVO 2.0 will beat all expectations but now you can add the amazing level of Molded construction too. Nose out line is fuller giving the EVO 2.0 a great feel that is very similar to the STORM 2.0 and allows it to ride over bumps rather than cutting into them. 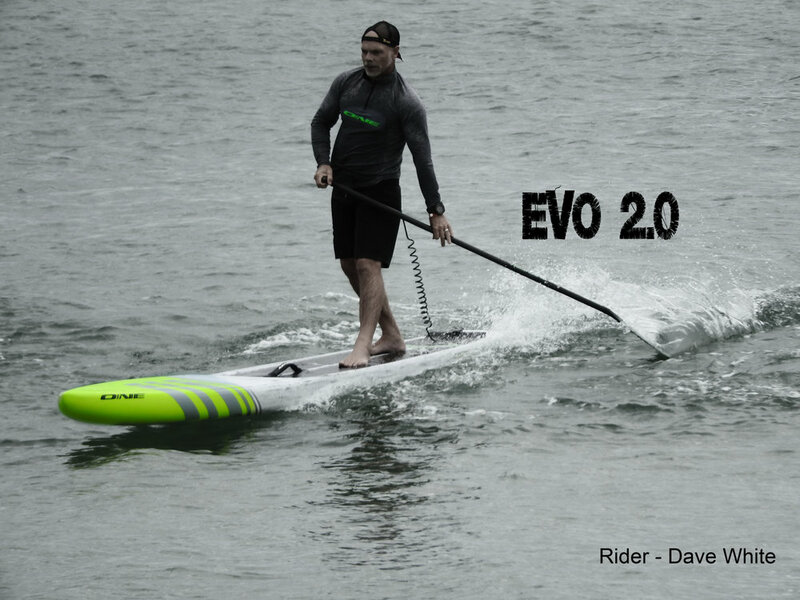 Rocker has been fully reworked on the EVO 2.0 with more nose and tail rocker all this without losing any flat water speed. Overall the EVO has now moved to a board that will love the ocean or any bumpy water, the board has a bit more lively feel to it that will make it a great board for anyone who wants to have that one board quiver. It will make a excellent BOP board or for those that just do not like the Dugout designs.